After Brussels on Wednesday derailed a planned Siemens-Alstom merger that was meant to create a European rail behemoth, here's a look at what's next for the German and French firms in an industry bracing for fierce Chinese competition. Buoyed by a recent run of strong results, the maker of France's high-speed TGV trains will have "no immediate worries", a source close to the group told AFP. But the engineering giant will continue to look for ways to "adapt to the challenges on the market in the medium term", the source added. Bertrand Mouly-Aigrot, a transport specialist at Archery Strategy Consulting, said Alstom may consider "closer ties" with Canadian train manufacturer Bombardier, pointing out that the rivals have teamed up on projects in the past. But their dominant positions, particularly as rolling stock makers in France, could run into the same competition concerns as the Siemens-Alstom deal. That leaves the option of tie-ups with "smaller manufacturers" to further consolidate the rail industry, Mouly-Aigrot said. "On a global scale, an alliance with an Asian manufacturer would have the biggest impact," he added, suggesting Alstom may want to consider an Indian or Japanese partner. Siemens CEO Joe Kaeser has said "different options" are on the table for the group's profitable rail arm, including floating its Mobility unit on the stock market. The group's renewable energy unit Siemens Gamesa and medical imaging business Siemens Healthineers have already been listed as the sprawling conglomerate seeks to become more agile. "But a flotation wouldn't solve the problem of the lack of a European champion, nor would it save on costs and research and development expenditures," said Maria Leenen, director of market research group SCI Verkehr. 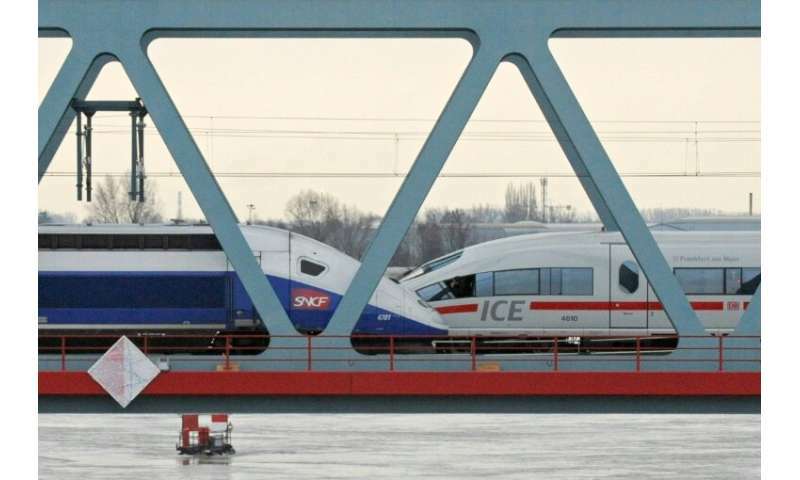 The Brussels veto "considerably weakens" European rail players while strengthening Chinese rivals like the China Railroad Rolling Stock Corporation (CRRC), Leenen added. Itself the product of a 2014 merger, the state-owned juggernaut is the world's largest train manufacturer whose metro lines, locomotives and wagons can be found across the globe—and its sights are set on Europe next, Leenen said. Armed with a huge R&D budget and access to cheap loans, CRRC can squeeze rivals out of the market with lower prices, she noted, a strategy that has already helped it amass 70 percent of the global market share in high-speed trains. CRRC's annual revenues of 26 billion euros ($30 billion) outweigh the three Western heavyweights Bombardier, Siemens and Alstom, each of which brings in around eight billion a year. But EU anti-trust regulators have shown themselves unconvinced by the Chinese danger. They focused instead on fears that a Siemens-Alstom merger would crush competitors and hike prices, while insisting that concerns about rivalry from CRRC remain unfounded—for now.